The Bituon Beach Resort Bohol is under German and Filipino management and is situated on top of some cliffs in Basdio, Guindulman. 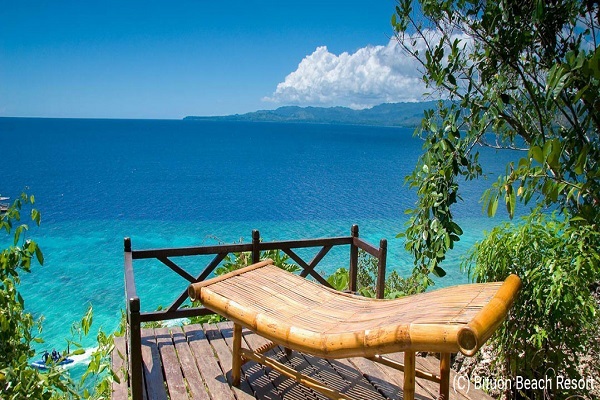 The resort consists of 11 well-maintained bungalows in native style with a good view of the Bohol Sea. The bungalows are made mostly of bamboo and wood skillfully constructed with thatched roofing amongst a well landscaped tropical garden. The rooms are spacious; the furnishings are simple but practical with cold shower, WC, veranda or "sundeck". The bungalows are naturally ventilated by the cool sea breeze and provided with basic facilities, a fan and are clean and spacious. The resort has a restaurant built onto a cliff that serves International cuisine with German influence and will adjust to special dietary wishes. They serve good vegetarian dishes. 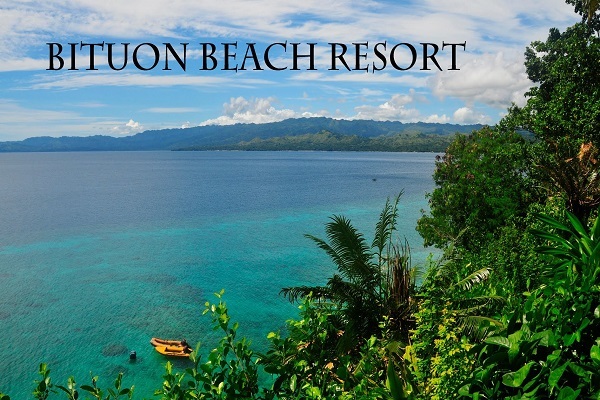 Bituon Beach Resort has its own dive shop run by a German with complete facilities and their own dive boats. 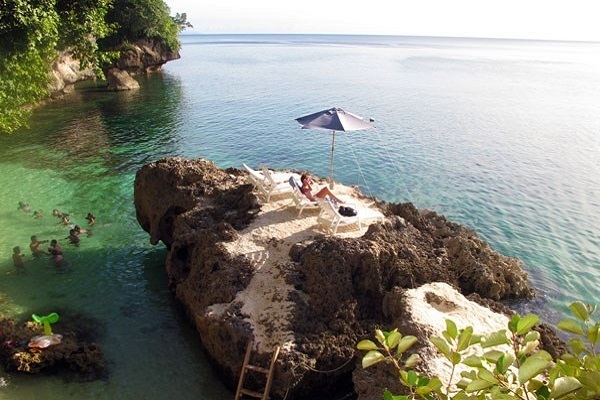 At the foot of the cliff and down a concrete stairway, the resort has its own small patch of coral beach that gets flooded at high tide. The resort caters mostly to German-speaking scuba divers with fully pre-arranged tours. Rooms may not be available without prior reservation. 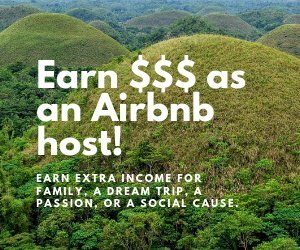 The rate is more or less USD 30 per person per night, including all meals. Given the location on top of high cliffs, the place is less suitable to small children. 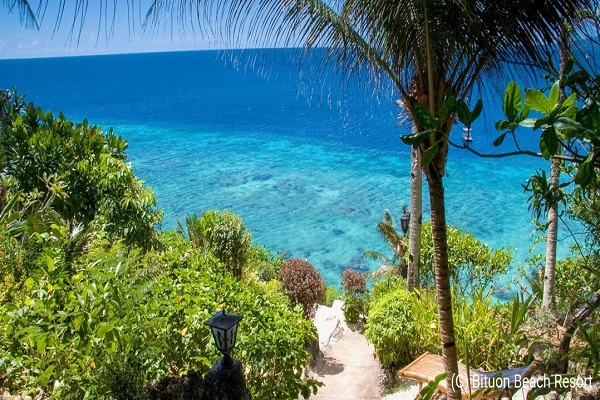 The Bituon Beach Resort is located at Basdio, Guindulman, Bohol, Visayas, Philippines. Guindulman town is located in the eastern part of Bohol, 84.6 kilometers or 1.5 hours away by car from the capital, Tagbilaran City. The bungalows are made mostly of bamboo and wood skillfully constructed with thatched roofing amongst a well-landscaped tropical garden. Tables, chairs and racks are also made of bamboo. The rooms are provided with twin bamboo beds with mattresses, bedcovers and linens and mosquito nets to keep the insects at bay. The spacious bungalows are naturally ventilated by the cool sea breeze and provided with basic facilities, a stand fan, toilet and bath with cold shower, WC, veranda or “sundeck”. The resort has a restaurant with a terrace built onto a cliff that serves International cuisine with German influence. The restaurant will adjust to special dietary wishes and they serve very good vegetarian dishes. The restaurant uses bamboo and local materials for chairs and tables. The dive shop is run by a German with complete dive facilities and their own boats. The house reef is just right in front of the resort and the drop off stretches 14 km along the coast. The resort uses 10 or 12 l steel tanks with DIN valve. Nitrox diving with 32% and 36% mix is always available against a surcharge. Mountain bikes and motorcycles for rent are available in order to explore the island on your own. Darts are available as an indoor game. The Guindulman area going to Anda town has a rocky terrain endowed with patches of sandy beaches in between cliffs with small and large caves. In spite of its rocky terrain, it is now becoming a target of resort developers. At present many resorts dots this side of Guindulman – Anda area. Reefs teeming with marine life are only a short distance away and a paradise for the divers. 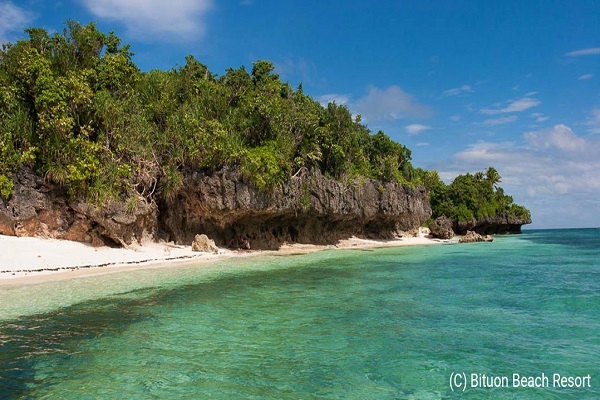 The Bituon Beach Resort is situated in this area with well-landscaped gardens, comfortable lodgings, a beach and crystal blue waters that are very cold and refreshing. Far from the hustle and bustle of city life, the place is secluded and tranquil. Coupled with the cool sea breeze and the fresh food, it is a “little paradise”. Offering a much more affordable rate than other resorts, try and avail of what the resort has to offer.